A new report suggests that the death toll in Puerto Rico from Hurricane Maria may be more than 70 times the official estimate. Researchers at the Harvard T.H. Chan School of Public Health estimated that between Sept. 20 and Dec. 31, there were 4,645 "excess deaths," according to the report in the New England Journal of Medicine. The government's official death toll currently stands at 64. In a statement following the announcement, Carlos Mercader, the executive director of the Puerto Rico Federal Affairs Administration, said, "We have always expected the number to be higher than what was previously reported." 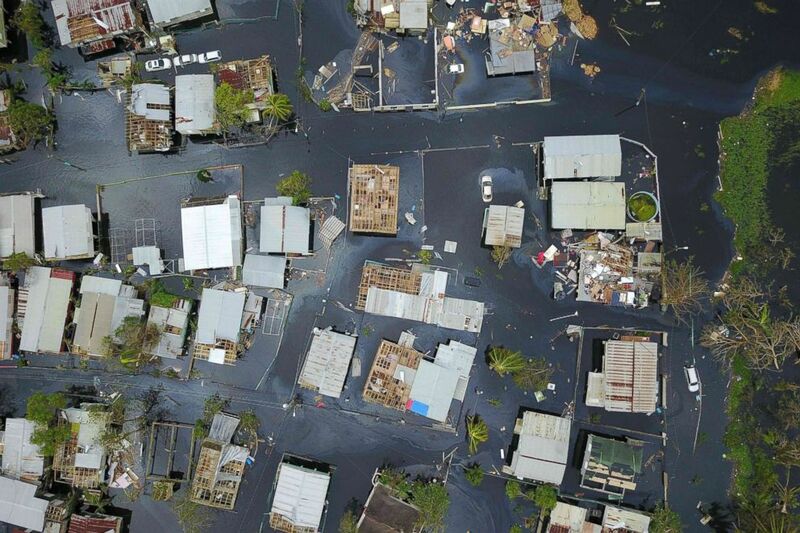 An aerial view shows the flooded neighbourhood of Juana Matos in the aftermath of Hurricane Maria in Catano, Puerto Rico, Sept. 22, 2017. The number of lives claimed following Maria remains something of a mystery on the island. A team from George Washington University is currently leading an independent effort to count the dead. Dr. Lynn Goldman, dean of the Milken Institute School of Public Health, told ABC News the task of counting the deaths is an exhausting one that involves interviewing people involved in the care of those who passed away. Estimating death, injuries, illness and displacement in the aftermath of a disaster can be very challenging as the very infrastructure you depend on to keep the count has been disabled, making it hard to get an accurate picture. As part of Harvard researchers' report, over 3,200 households were randomly visited and surveyed, which included over 9,500 people. This data was compared statistically with the estimated population of 3.4 million in Puerto Rico. When compared to the matching three-month span in 2016, the estimate revealed a 62 percent increase in mortality rate after Maria, which led researchers to estimate the 4,645 "excess deaths." Household members said that many of these deaths related to Maria involved not injuries caused by the storm, but rather delay or prevention of access to medical care afterward, according to the report. The 4,645 deaths may still be an underestimate, researchers said, since deaths may have continued into 2018 and would not yet be counted. 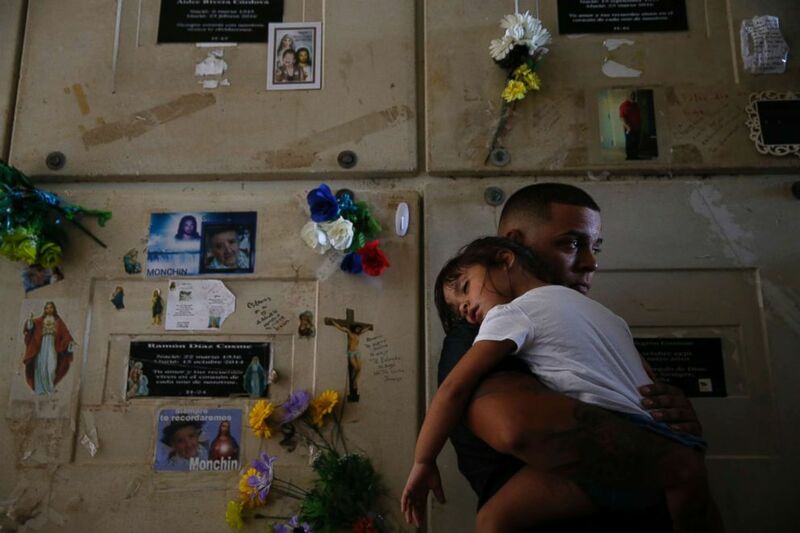 Orlando Gonzalez holds his daughter Nahielys as they attend the funeral of their neighbor Victor Ruiz Ramos in Corozal, Puerto Rico on Oct. 2, 2017. This should be a day of collective mourning in Puerto Rico. Thousands dead because of administrations that could not get the job done. “I don’t think we will ever exactly know,” Daguao resident Maria Lopez told ABC News. Eric M. Ascher, DO, is a third-year family medicine resident from New York working in the ABC News Medical Unit.